Thanks for trying or using DocRaptor! If there's anything we can do to save your business, or if there's any feedback that would be useful for future customers, please contact us at support@docraptor.com. 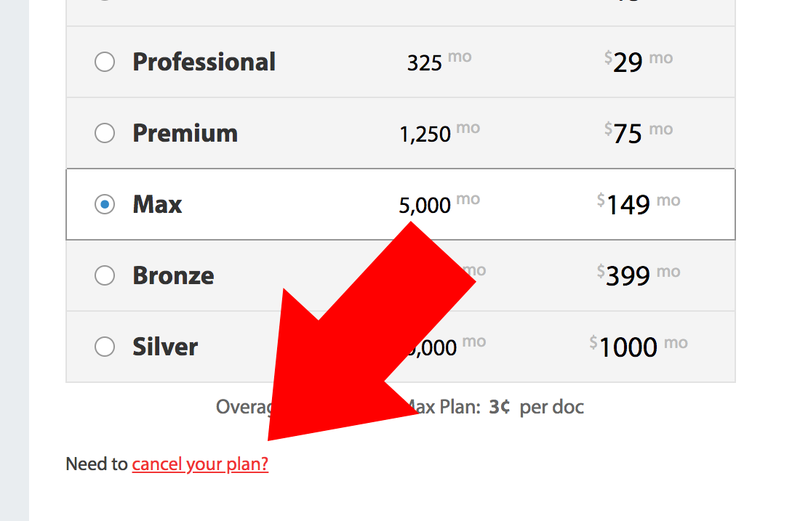 The cancel link is located in the bottom left, under the plan selection table. After clicking the link, you will need to confirm your intention to cancel. Again, thanks for using DocRaptor!